Renovations to the University of Illinois Springfield Studio Theatre, the creation of a Hip-Hop Xpress mobile classroom, a cultural heritage tourism project and expanded arts and humanities-based exhibits and events are part of a new, nearly $2 million initiative announced by the University of Illinois System on January 25, 2018. The initiative is aimed at emphasizing the impact and influence of the arts and humanities across Illinois. System-wide 14 projects were selected from more than 50 proposals in the first year of the Presidential Initiative to Celebrate the Impact of the Arts and the Humanities, launched last summer by President Tim Killeen to enhance and celebrate the arts and humanities at the system’s universities in Urbana-Champaign, Chicago and Springfield. The program is supported by the offices of both the President and the Executive Vice President, using funds devoted to faculty development. This project will support major structural improvements to the University of Illinois Springfield Studio Theater. Located in the Public Affairs Center Building on the UIS campus, the theater is a variable-use performance space able to seat about 200 people. 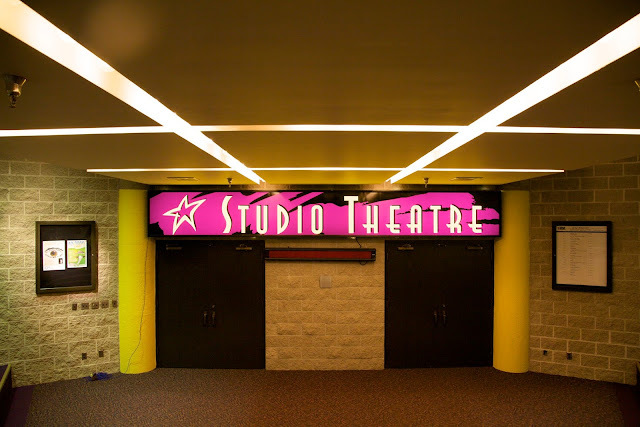 Renovations and technology upgrades, including new seating, a new curtain system, lighting and sound, will provide a modern and professional performance venue for UIS Theatre and Music faculty and students. The intimate venue also will support smaller regional and national touring performances, opening the campus to wider community involvement. The Hip-Hop Xpress is a project involving the creation of an internet-enabled school bus to be equipped as a multi-user music production and recording studio. Using music, dance, visual arts and technology, the bus will travel to communities and classrooms across the state, teaching youth about African-American history as well as cultural innovations spurred on by Hip-Hop. The mobile classroom will work with U of I Extension offices to reach youth organizations across Illinois. The project’s goals are to further integrate the arts into people’s lives and help develop Hip-Hop studies on all three campuses. This public engagement project will help a selection of downstate Illinois communities to identify points of cultural heritage as a means of creating themed tourism routes along and near the Mississippi River. Faculty and students from the two campuses will conduct research collaboratively with local governmental, business and educational partners aimed at achieving sustainable strategies and effective policies that will foster local economic and social development. A website and high school-level teaching modules also will be produced. The project will culminate with a national symposium on the use of heritage tourism for community development. THINK will bring together more than 30 faculty from across the U of I System’s three universities as well as community leaders to create an infrastructure for producing arts and humanities-based exhibits and events in Chicago, Urbana-Champaign, and Springfield. The project will include educational opportunities for students, pop-up installations that engage historical and contemporary issues in these respective communities, and scholar-practitioner working groups to address social problems, such as violence, wealth disparity, incarceration and human rights.